the devil also plays a central role in "The Tales of Hoffmann" by thwarting all of the titular hero‘s love affairs. Hoffmann‘s faithful Muse leads him back to the thing which enraptures and comforts him the most: art. Stop "Währinger Straße / Volksoper"
A taxi stand is located at Währinger Gürtel. 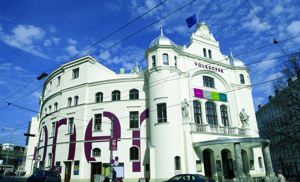 The Volksoper is Vienna’s main stage for operetta, opera, musicals and ballet, offering sophisticated musical entertainment. Colourful, eclectic and full of vitality, it is the only theatre dedicated to the genre of operetta. Operetta belongs to Vienna and Vienna installed it at the home of operetta, Volksopera Vienna, which thereupon became the leading operetta house in the world. First class singers, actors and dancers together with a versatile orchestra cunjure up a musical firework display every evening. Johann Strauss, Franz Lehár, Emmerich Kálmán wrote their world famous beloved melodies for operettas such as “The Fledermaus”, “The Merry Widow” and “The Csárdás Princess”. A visit to at least one of these operettas at the Volksopera Vienna is a must for every visitor to Vienna! Also performed are operas from the 18th, 19th and 20th centuries, as well as classic musicals and ballet. In addition, the Volksoper has a fifth longstanding and proven speciality: it stages soirées, cabaret and burlesque performances under the name of “Volksoper Spezial”. 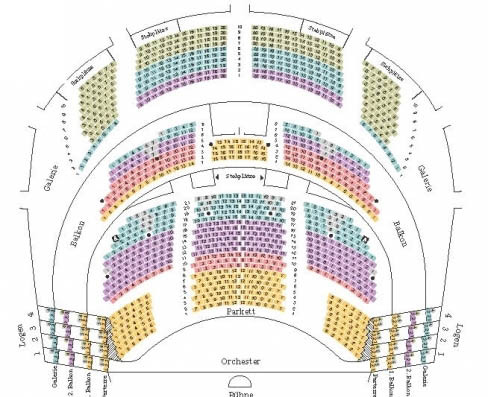 In the repertory theatre, which seats 1,337 persons, some 300 performances of around 35 different productions are staged every year between September and June.